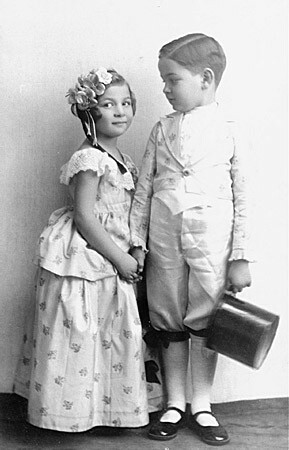 Alice and Heinrich Muller pose for a photograph while in costume for the Purim holiday. Hlohovec, Czechoslovakia, ca. 1934–35.